A traditional dress worn by both men and women in countries such as India is referred to as a salwar kameez. The silhouette is long and straight with two side slits, and the length generally falls below the knee. This three-piece traditional dress consists of a top, referred to as the kameez or kurta, and a bottom, referred to as the Salwar or pajama. A scarf is also part of the salwar kameez and is called the duppata. The scarf has a rectangle shape and is worn around the neckline with the tails at the back of the wearer. 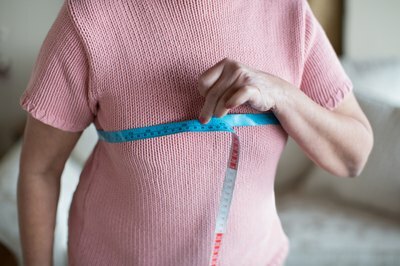 Measure your upper body for the kameez with a flexible tape measure. For example, measure the bust, chest, shoulder width, waist and hips. Keep in mind the kameez is a tunic-like length. 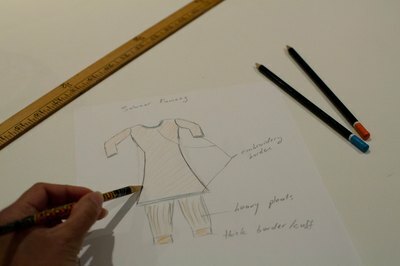 According to IndianChild.com, "The kameez is body fit for the upper torso and below turns into a frock design.” Other kameez designs feature an A-line bottom. 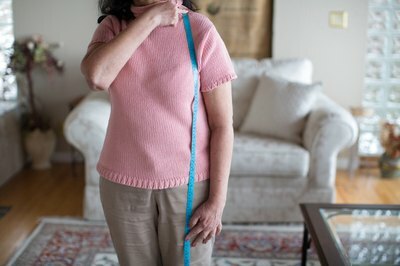 Measure the neckline circumference and include the front neck depth. 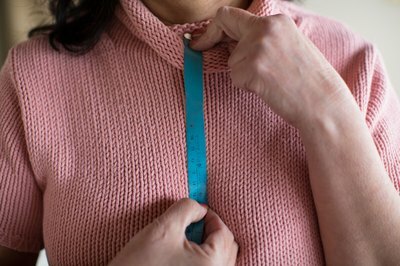 Place the tape measure at the center of your front neck and extend it to your desired depth. This is the front neck depth. This is especially important if you are including an embroidered neckline insert as part of the design. Measure the sleeve area for the kameez, including the armhole and sleeve length. For example, place your tape measure at the shoulder. Slightly bend your elbow. Run the tape measure along where the arm encases the slightly bent elbow to your wrist for an accurate sleeve length measurement. If you measure the sleeve without bending the elbow, your sleeve length is not accurate and will not have movement flexibility. 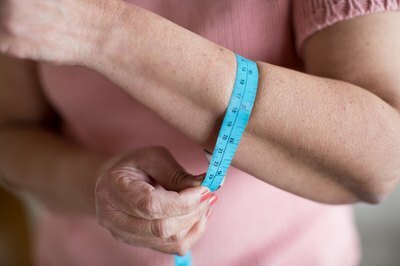 The measurements must also include the circumference for the elbow and wrist by placing the tape measure loosely around the elbow and wrist. Position the tape measure at the high point shoulder (HPS). This area is the highest point of the shoulder near the neck. Allow the tape measure to run down the body for the length of the kameez. Measure your lower body for the salwar by measuring the waist, hips, inseam length and leg cuff opening. Though the bottom is not formfitting, it has a straight leg silhouette. The leg inseam generally finishes at the ankle. The leg cuff opening has a wide circumference. 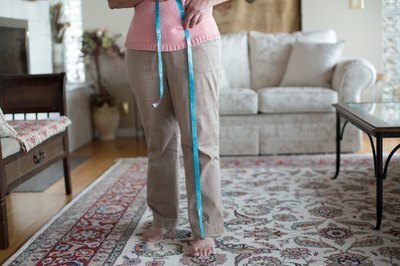 Add 3 or 4 inches to your existing circumference to widen the leg cuff opening. Choose the fabric according to the type of event or season for the salwar kameez. You will most likely need 8 to 10 yards of fabric according to your design and length. Summer attire generally incorporates lightweight cottons or silks and the winter includes heavy brocades and satin. It is also important to choose the fabric appropriate for a particular event such as a wedding. Sketch the salwar kameez concept in your sketch pad or drawing paper as a map to follow for your pattern. Use colored pencils or markers to differentiate contrast fabric color inserts, textures, trims and stitching. For example, certain designers include embroidery at the neckline and use the same details at the bottom portion of the kameez as well as at the leg cuff opening. The embroidery or trims are also part of the duppata and can be included at the ends of the scarf. Draw the pattern on pattern paper using your measurements as a guide. 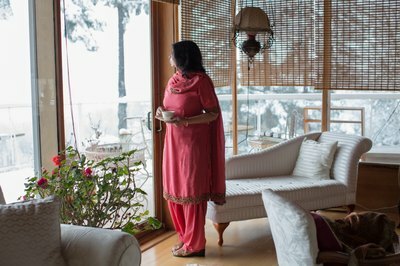 Beginners can use salwar kameez sewing patterns as a basic guide. Trace the patterns onto the pattern paper with a drawing pencil and keep the original for future reference. 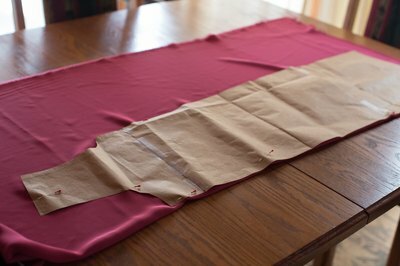 Make sure to add 1/2 inch seam allowance for all pattern parts and inserts as well as to add notches to align the pattern parts prior to stitching. This is especially important if you are adding neckline-, sweep- or bottom- contrast inserts. Cut out the kameez, salwar and duppata patterns with paper scissors. Pin the paper patterns onto the fabric with straight pins. 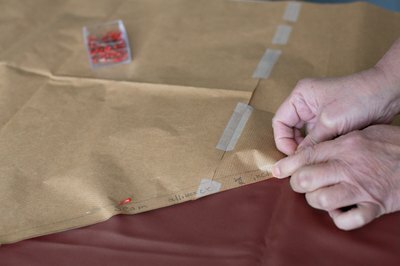 If you are using delicate fabrics such as satin, silk, chiffon or organza, use sharp pins and pin along the seam allowance to avoid pinholes in the fabric. Cut out the fabric parts with fabric scissors. Repin fabric parts for the kameez, salwar and duppata. 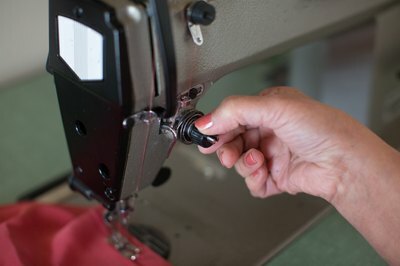 This is especially important if you are inserting contrasting fabric textures, prints or trims to avoid sewing mishaps. If you are adding embroidery details, you will need to construct the embroidered panels separately prior to pinning for construction. Adjust your sewing machine stitch tension as well as sewing needle to accommodate delicate fabrics as well as heavyweight textures. 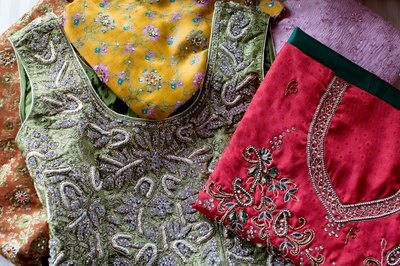 Machine stitch the kameez, salwar and duppata separately, leaving seams open for closures such as a back invisible zipper or snaps. 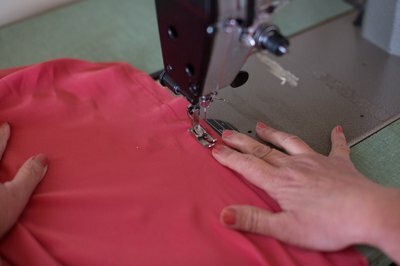 For example, if you are adding an invisible zipper, change the machine’s straight stitch foot to the zipper foot and stitch the zipper in place. Cut away loose threads prior to wearing your salwar kameez.